There is nothing more new ,hot and fashion than they are. You can choose various styles to DIY your chain, create your own jewelry and make you shining among people.Such as,animals Style beads:butterfly,birds,bear,cat,cow,dog,deer,dolphin,donald duck,eagle,elephant,,fish,frog,horse,kangaroo,kitty,mouse,lion,owl,peacock,pig,penguin,seashells,snail,snake. Charm bracelet chain 7 1/2" Gold plated X 6 pieces with flower detail clasp. 6 Charm bracelet chain with flower detail clasp Gold plated. 6 of these top quality charm bracelets. The links are "open" so the bracelet is easily adjusted. 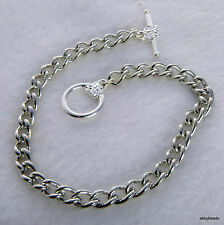 1 Charm bracelet chain 7 1/2" long, top quality, in silver tone with flower detail toggle clasp. 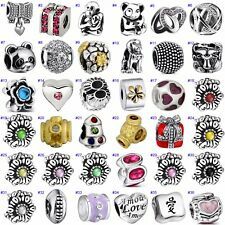 These top quality charm bracelets are tin plated on steel to give a long lasting non tarnish finish. Slightly duller than bright silver plating these bracelets are ideal for making charm bracelets for resale as they have a much longer shelf life without the need for further polishing. Beautiful lampwork glass bead. See more lampwork beads. Beige with pink flowers. Suitable for charm bracelets & necklaces. 10mm x 13.5mm x 13.5mm. Wholesale Jewellery Making Supplies. Silver tone small flower clip on charms. Beautiful lampwork glass bead. See more lampwork beads. Opaque pink with flowers. Suitable for charm bracelets & necklaces. 9.5mm x 13.5mm. 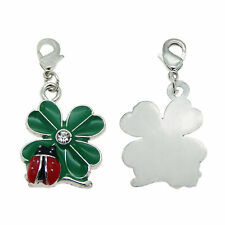 Silver tone four leaf clover clip on charms. Wholesale Jewellery Making Supplies. 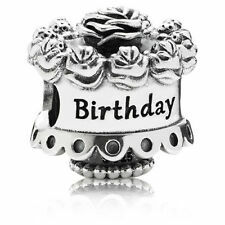 Charm bracelets silver plated with flower detail toggle clasp. These are top quality chains and are nickel compliant and lead free. 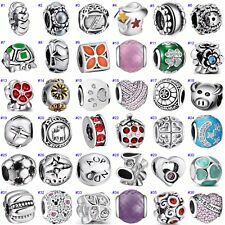 12 top quality charm bracelets. The links are "open" so the bracelet can be adjusted. 12 charm bracelets 8” silver plated with flower detail toggle clasp. These are top quality chains and are nickel compliant and lead free. 12 of these top quality charm bracelets. Both the chain and the bracelets are manufactured in UK. 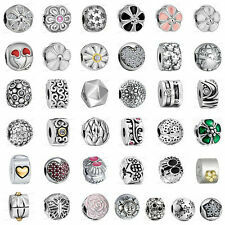 They are NOT Pandora charms and won’t attach to a necklace or bracelet. Size : 4 – 9mm (depending on the charm). Not suitable for young children. The price is for one charm only (bracelet not included). Buy 4 and get the 5th for free. Gold/Gilt plated Clip-on Clasp Charm. This charm is Gold/Gilt plated. Will fit Thomas Sabo type bracelet. It is easy and safe. eCheck will be held until cleared. We will reply you ASAP. Special situations are examined on a case to case basis. 2: The real color of the item may be slightly different from the pictures shown on the website. Murano Glass Single Core Bead. 'The Charm Box'. 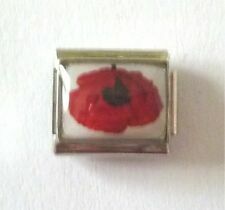 Bead Size: Approx 8mm x 14mm. The bead is of exceptional quality and is beautifully bright and clear. It has a seamless. single core through the centre of the bead. Mini snap jewellery will fit onto Noosa Style rings, Noosa style bracelets, Noosa style earrings, Noosa style pendants and snap jewellery. Create special and unique pieces that nobody else will have. 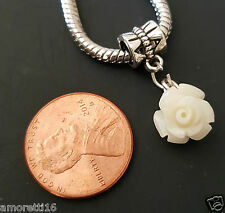 White flower design Italian Charm by Daisy Charm®, link for your composable bracelet. So you will receive one branded Daisy Charm for the classic size bracelet. Made from high grade hypoallergenic stainless steel. Mix and match with the thousands of Daisy Charm UK branded Italian charms for your classic Italian charm bracelet that can be found in our eBay store, just click on the door symbol near the top of the page. The Daisy charm is 9mm in size, has a shiny finish. All Daisy branded 9mm Italian charms come individually packaged in a small blister packet and have our brand name - Daisy Charm- stamped on the back. The picture show is not the exact item size. If you need more information about Italian charms and how they work please see our "About Italian Charms" page in our. 1 x Mushroom Italian Charm. All our Italian Charms are stainless steel. This listing for 1 x 9mm Italian Charm with a CLOVER MOOD STONE on a SHINY finish base. Our 9mm charms are compatible with ALL brands of standard size / "classic" Italian Charms. ***please read the full description BEFORE buying*** Remember to click ADD TO BASKET to ensure you always qualify for our promotions and SPECIAL OFFERS! Don't just click Buy It Now!. Main Stone:Natural Zircon. DIY Jewellery. S925 Silver Bracelet. 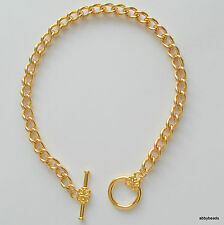 18K Gold Bracelet. S925 Silver Necklace. 18K Gold Necklace. S925 Silver Ring. 18K Gold Ring. Star design Italian Charm by Daisy Charm®, link for your composable bracelet. So you will receive one branded Daisy Charm for the classic size bracelet. Mix and match with the thousands of Daisy Charm UK branded Italian charms for your classic Italian charm bracelet that can be found in our eBay store, just click on the door symbol near the top of the page. The Daisy charm is 9mm in size, has a shiny finish. All our 9mm charms come individually packaged in a small blister packet and have our brand name - Daisy Charm- stamped on the back. The picture show is not the exact item size. If you need more information about Italian charms and how they work please see our "About Italian Charms" page in our eBay shop. An individual 9mm Italian charm with a dangling gem flower. 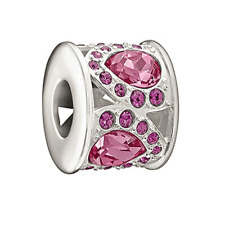 This is a single Italian charm for use with all other Italian charm products. Italian charms are not compatible with standard or European Bead style charm bracelets. All our charms have a stainless steel base, and any enamel designs securely soldered on. 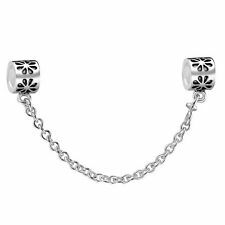 The charm is 9mm in size, has a shiny finish, and is compatible with all other 9mm charms from all other Italian charm brands including Nomination's classic bracelet. All our 9mm charms come individually packaged in a small blister packet and have our brand name - Daisy - stamped on the back. The picture show is not the exact item size. If you need more information about Italian charms and how they work please see our "About Italian Charms" page in our eBay shop. This listing for 1 x 9mm Italian Charm with a FLOWER WITH BLUE GEMS on a SHINY finish base. ***please read the full description BEFORE buying*** Remember to click ADD TO BASKET to ensure you always qualify for our promotions and SPECIAL OFFERS! Don't just click Buy It Now!. 1 x "tulip" Italian Charm. All our Italian Charms are stainless steel. >>>Australia, South East Asia and Asia. Otherwise deal is final. Main Color: Green & Silver. We will be happy to resolve any issues you may have in a cordial and friendly manner. All products are quality checked. DIY Jewellery. S925 Silver Bracelet. 18K Gold Bracelet. S925 Silver Necklace. 18K Gold Necklace. S925 Silver Ring. 18K Gold Ring. S925 Silver Earrings.